With the release of Chrome version 62, Google has begun to flag unencrypted websites as “Not Secure”. This means that if you don’t have an SSL certificate, Google Chrome users will see a warning next to your URL in the address bar. Google has estimated that two-thirds of the web will be deemed “unsafe”. While you likely don’t have any malicious intentions, lack of digital security is a big turn-off for consumers and they are much less likely to trust your website and, by extension, your company. A Secure Sockets Layer or SSL certificate is a data file that establishes an encrypted link between a web server and a browser. When information is sent without encryption, any computer between the input and the server is able to read it. This includes passwords, credit card information and contact details. An SSL certificate essentially scrambles the data before it is sent, making it unreadable by anyone other than the server that the certificate is linked to. The bond of trust between company and consumer is vital to brand reputation and repeat custom, so it’s essential that, no matter what your industry, you put privacy and security at the forefront of your business strategy. If your competitors’ websites are marked as unsafe and yours isn’t, you’ll give potential customers another reason to choose you over them. Far from poaching business through underhand tactics, you will be able to tempt them over by demonstrating your trustworthiness and commitment to keeping them safe, developing customer loyalty and retention. Chrome makes up almost 60% of the world’s browser market share, so if your website is flagged as unsecure, a huge chunk of your potential customers are going to see it. A recent survey by internet marketing researchers HubSpot found that 82% of Chrome users would leave a website upon learning that it unsecure. With over 2 billion Chrome users worldwide, it’s essential that you act on this to avoid loss of revenue and damage to your reputation. Will not having an SSL certificate affect my Google rankings? Google has publically stated that security features such as https and SSL certificates are ranking factors, so a website that uses SSL may be favoured over one that does not. Non-compliance with Google’s recommendations is therefore highly likely to have a negative effect on your SEO, leading to a drop in your organic search traffic. If Google chooses in the future to highlight websites as “Not Secure” within the search results page, users may think that the site is untrustworthy or that it has been compromised without even visiting it. We all know how important first impressions are, so there’s a risk that you could lose their custom forever. Will not having an SSL certificate affect my PPC campaign? If you’re running PPC adverts through Adwords and aren’t using an SSL certificate, you may end up paying for a whole lot of nothing. No matter how enticing your ads are, if a visitor click through to your website only to discover that it’s not secure, they’re probably not going to stick around. If you’re not careful, your cost per conversion will skyrocket, as you’ll be paying for clicks that aren’t yielding sales. Don’t undo the hard work that you’ve put into crafting your adverts and budgeting your bids by letting customers click through to an unsecure site. How do I secure my site with an SSL certificate? If you are looking for an SSL certificate for your website, please contact Pinnacle Internet Marketing. We have a access to a wide range of certificates based on your website needs and budget. You also need to remember that SSL certificates can and do expire, so make sure to take note of when yours is due to run out so that you can renew it without any lapses in security. 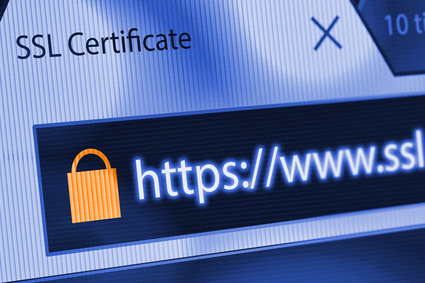 Whatever method you choose, implementing an SSL certificate is crucial to ensuring the security of your website and building trust. By working together to maintain digital security, we can improve the safety of all web users and minimise the risk of security breaches or loss of data. This entry was posted in Google, News, SEO, Tips, Websites on December 8, 2017 by Pinnacle.